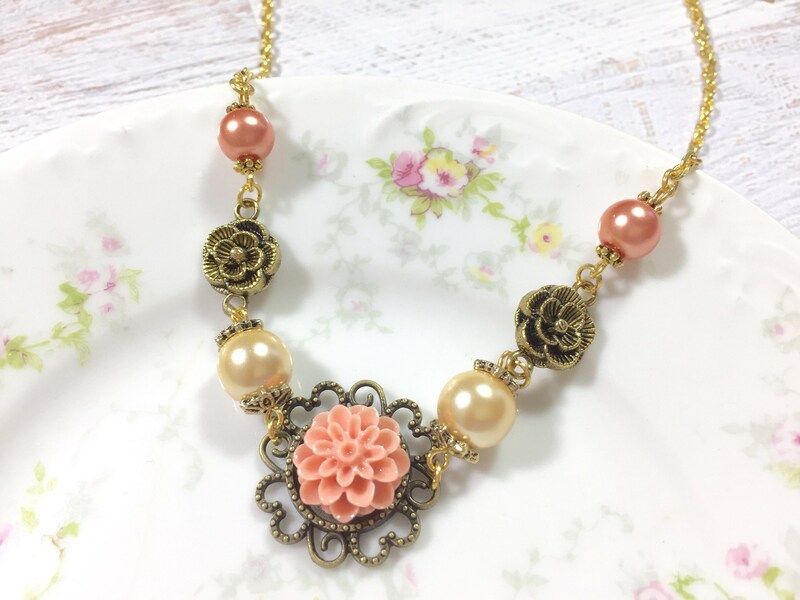 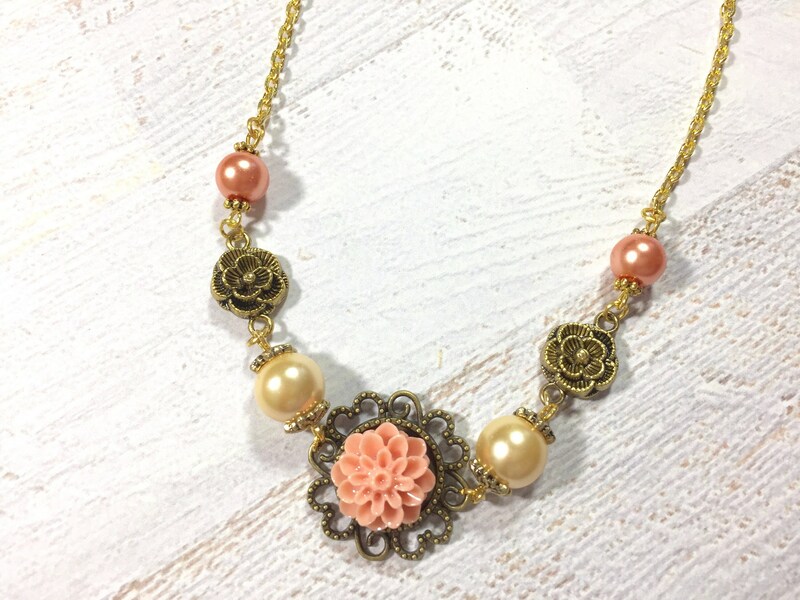 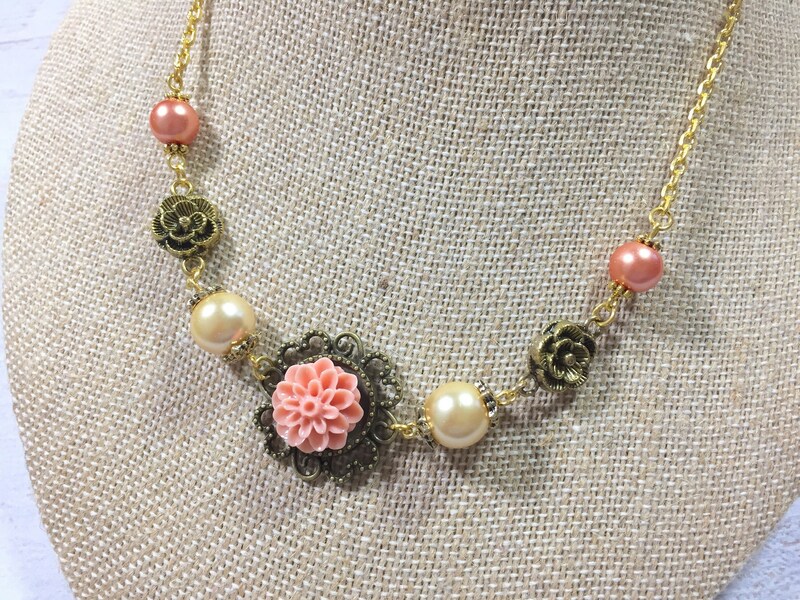 I made this pretty beaded asymmetrical necklace with an antique gold filigree edged setting, a peach resin chrysanthemum flower, antique gold flower connectors, glass pearl beads, gold toned findings and gold toned chain. 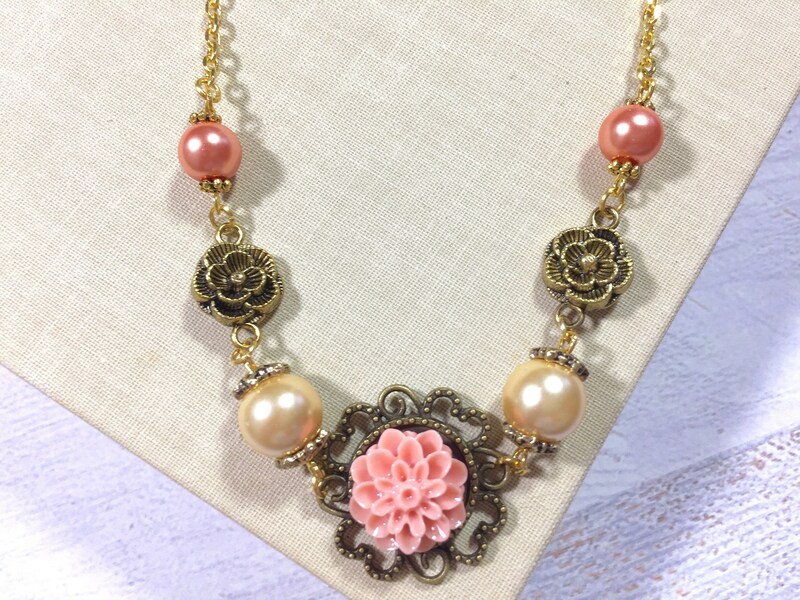 The closure is by lobster clasp. 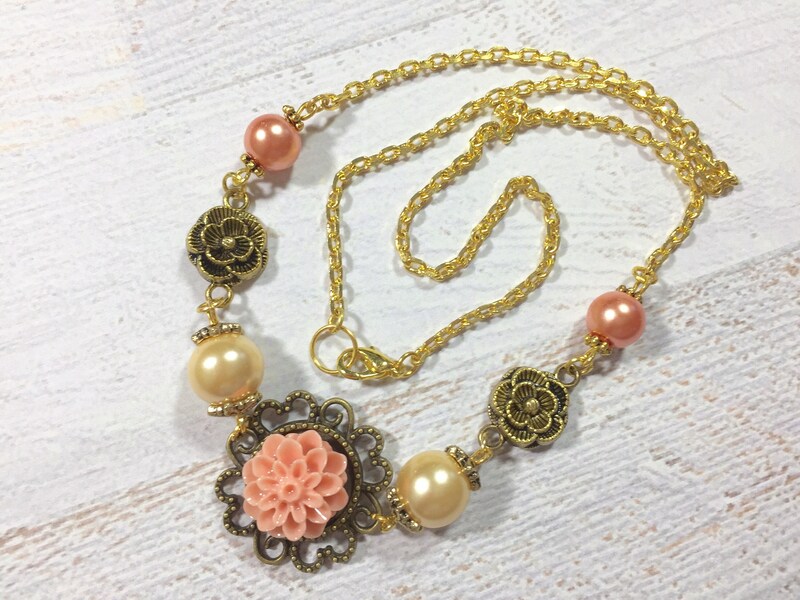 This lovely necklace measures just over 19.5 inches (49.5cm) in length.